Works great Review by B. Reiter "breiter"
Good yet inexpensive memory Review by R. Trevor Rees "Dumb Bucket"
Good price. The RAM arrived very quickly, but one of the modules was defective. Computer wouldn't boot at all. I hoped to send the defective one back for an exchange but for whatever reason I had to send both back for a refund. I reordered, second pair worked fine. Refund was processed quickly. I get that any manufacturer is going to have occasional initial failures, but I was a little surprised just because the description makes a big deal about the fact that they test all RAM before sending it out. good product, Review by Leon Van Meerbeeck "DrSc, Dolfie"
Absolutely no issues with this product. My computer recognized the new RAM on start up. Just what was needed to double up on RAM. The chipset was very easy to install. Works Great Review by Pwhid "Pwhid"
Great product, great price Review by Curt W.
I used this product to refurbish my Macbook to give to my mother-in-law. She has had no issues and the memory seems to be working perfectly. I would buy again. As always make sure that you check whether the ram is compatible with your laptop. Installation was easy on my 2008 Macbook. Arrived on time. I used this to doubled the RAM. My computer runs faster/like new--programs run faster and I can multitask more. Best investment ever (rather than buying a new computer). This should take me well into 2015 with my laptop. computer runs great Review by Kelly Thurman "KELLY731"
Price was better than several competitors. Shipping was reasonable, and I was surprised on the speed on which it arrived. Very quick. Packaging was okay, but with little instructions (I didn't require instructions) but I would feel better if they had at least included anti-static handling procedures for those not as familiar. Bought this to max out the memory in my wife's older laptop. Worked great. Perfect Review by G. Jimenez "Better PC"
Yep, it's RAM Review by Kent B. Works as promised Review by James M. Kray "Lewis Fan"
Very happy Review by Shook "motorhead"
WRONG MEMORY SENT Review by SGJS "ss"
good prize Review by chabp. 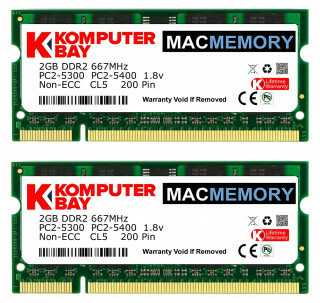 High Quality Memory at a Great Price Review by Steven, Sedona AZ "Steven, Sedona AZ"
One of my customers purchased a laptop with only two gig of RAM, this cured it in one smooth move. Awesome! Review by Scott Thompson "foshizzle my nizzle"
Great Memory and even better price Review by B. Desai "Avid Amazon Buyer"
This RAM replaced the standard 1GB in an early (2007) Mac Mini. 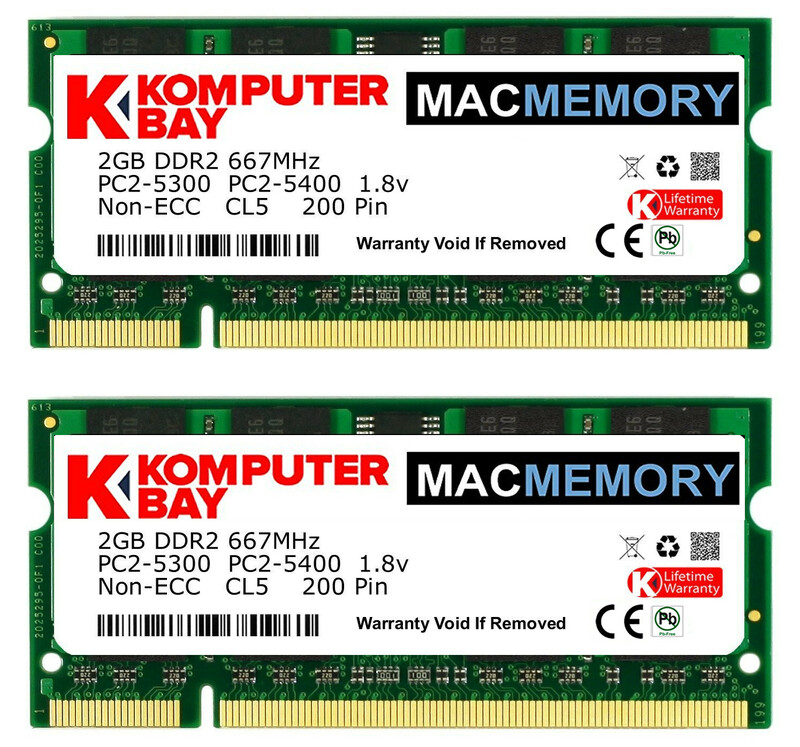 Great Buy Review by Kathy M.
I got this upgrade the RAM on a Dell XPS m1210. It's an older machine and 4GB maxes it out. When it comes to laptop RAM, the #1 concern is compatibility. This stuff installed and worked right away. The machine booted right up and I installed Windows 7, including all updates, MS Office, etc. No crashes or lockups. Works in 2007 Macbook Review by Bob "Bob"
Great and Cheap Review by Gerard A.